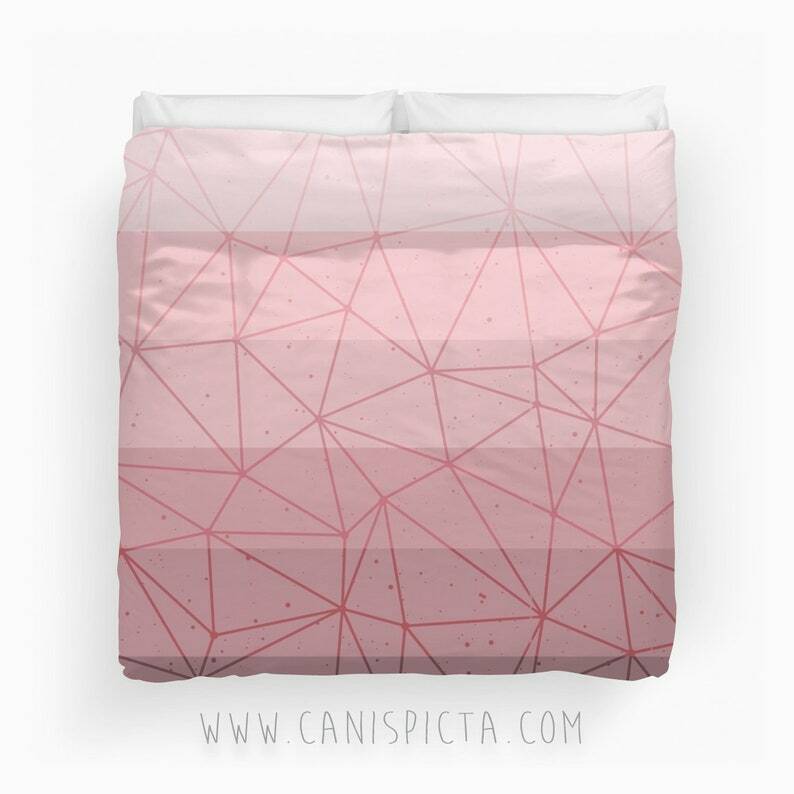 This listing is for ONE Graphic Print Duvet Cover - INSERT NOT INCLUDED. It's geometric! It's millennial pink! And it's ombre! 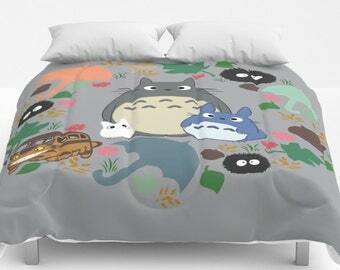 All on one fabulous duvet cover. We did it for you--and no thanks required :). As with all of our ombre patterns, this is a true ombre with each color influenced by the one preceding it. Pretty neat! Please Note: ALL Ombre colors will be available as Duvet Covers eventually, if you don't see the particular Ombre color you were looking for message us and we will make it available A.S.A.P.! Cover yourself in creativity with our fabulous duvets. Our duvets boast a brushed polyester printed topside and a soft cotton/polyester white underside. They feature a concealed zipper opening and internal insert ties for easy assembly (keepin' it practical). We recommend machine washing on cold on a gentle cycle. And, for best results, use a mild detergent. Gotta keep those designs fresh! Our duvets are professionally printed, so please allow for printing and processing time when making your order/s.